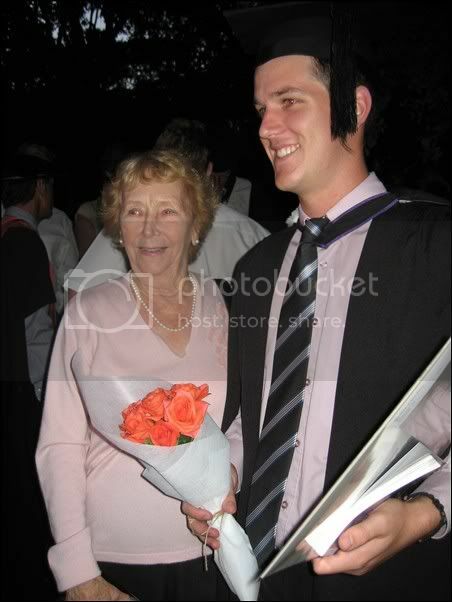 So, I gave photos of my graduation – here’s a couple from Robs. 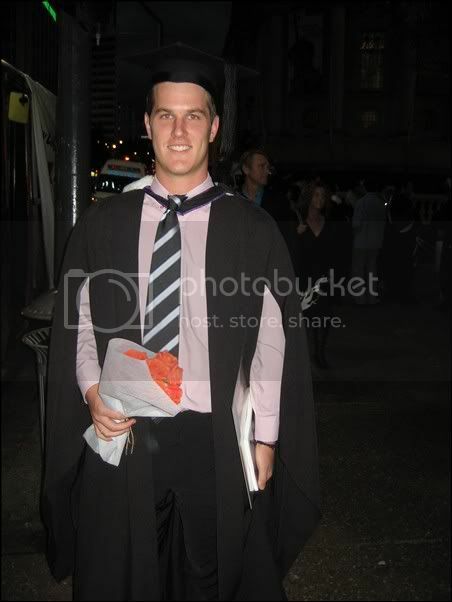 He graduated on the Monday at a 3.45pm ceremony, so it pretty dark at 5.30pm when we got out. I don’t have the photos from the procession and everything – they’re on Johns camera. 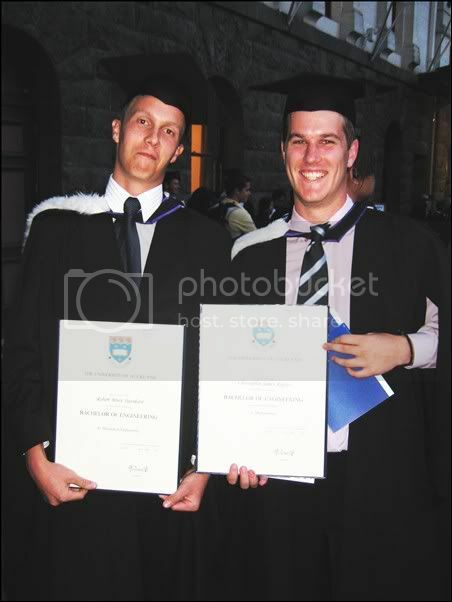 For those who don’t know, rob graduated with Bachelor of Engineering majoring in Mechanical Engineering, and his cousin James graduated with a major in Civil Engineering. Awesome! 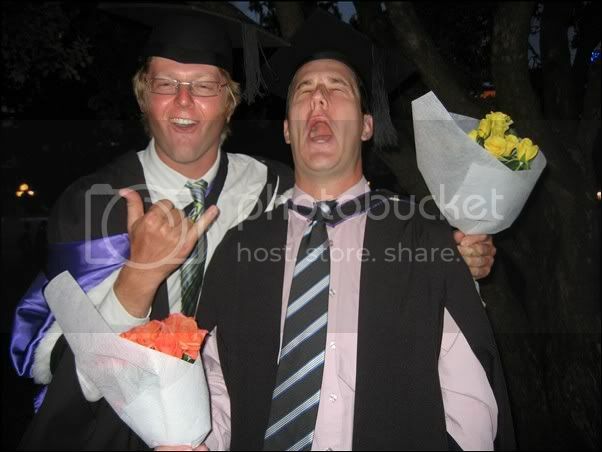 So, Mel has posted some graduation photos too. The next couple of posts I make will prolly be from the various get togethers from while I was in NZ. This weekend, though, I go to Sydney for a sci-fi convention – should be interesting.